I’m a prose writer. I’ve been trying to write a story that explores a friendship breakup from 20 years ago, when I was a student at a tiny college in southeast Michigan and quietly questioning my sexuality. It is one of those stories where the narrator can only guess what went wrong. I’ve spent an embarrassing number of hours, days, months, and years trying to capture the emotion of that loss in my young life, and I have been ungracefully flailing. My workshop group members told me they got lost/bored with the logistics of college life. They said the characterizations felt flat. It needed a more compelling narrative arc. The emotion I intended to communicate through scene and detail left them wanting. I revised again—moved the ending to the beginning, cut long sections of dialogue, tried to bring the characters to life with gesture and action. I read volumes of CNF essays for ideas on how to improve the story. Despite my desire and relentless effort, a second-round of workshop revealed that I still hadn’t solved the story’s problems. I set it aside, hoping an epiphany would surface while I drove or showered, or even while I slept. A few weeks later, I signed up for an eight-week poetry workshop at Denver’s literary hub, Lighthouse Writers Workshop. I was desperate for a change of pace from my long-form essays and thought poetry would offer a good mental shake-up. During the first week, the workshop’s instructor, Andrea Rexilius prompted us to write a poetic response to a favorite poem and to focus on what Ezra Pound called “Melopoeia” or the “musical property” of language—the way sound collaborates with meaning. I selected Ocean Vuong’s, “On Earth We’re Briefly Gorgeous” from his 2016 collection, Night Sky with Exit Wounds (Copper Canyon Press). I wrote the beginning of a one-page poem, borrowing Vuong’s theme of impermanence. I quickly became enthralled by the microscopic act of tinkering with language and experimenting with form. I liked the tidiness of a one-page composition surrounded by oceans of white space. It was like my eye was at a keyhole and could see an entire emotional landscape in a small, visible frame—such a stark contrast to my 17-page prose maze. I tend to remember my experiences on a more emotional, internal level (how something felt in terms of tone, or atmosphere, or mood–metaphorically), rather than remembering an experience in terms of its specific external details–literally, such as what a room looked like or whether or not my mother baked cakes. This interiority of memory, free of timeline, free of character (in a way), and of plot, is what I think makes me a poet. Rexilius’s casual comment has stayed with me ever since. With my own story, I wanted to explore the intimacy of female friendships and the fuzzy boundaries between filial and romantic love. All along, I had been trying to prove to the reader, and maybe even myself, that the relationship embodied characteristics of both. Through poetry, however, I breathed into the freedom from literality. I entered a writing space where I felt empowered to confidently define my own emotional experience through a collisions of disparate images, both literal and imagined without the same level of self-consciousness. In my poems, it didn’t matter who initiated our first hangout or what kind of cereal my friend ate for breakfast at the dining hall. It didn’t matter how our relationship progressed from A to B. Poetry freed me from the constraints of my memory and a clear narrative arc. I could, instead, distill the emotion of our relationship and its end by using any available means. The poems I wrote felt true, honest, raw—exhilarating. When I first started this poetry workshop in August, I expected that the deep study of language would translate across genres. I saw poetry as a tool to help me improve as a prose writer and positively disrupt my writing process. The workshop has exceeded all of these expectations. But I am also beginning to think beyond the workshop’s service to my essays and stories. It seems that some stories on my hard drive have been begging, all along, to be dismantled, set on fire, and rebuilt as poems. 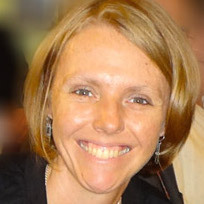 Nicole Piasecki teaches writing and rhetoric at the University of Colorado Denver. She identifies mostly as a creative nonfiction writer but is intrigued by the possibilities of poetry. Her creative works have been featured in Hippocampus Magazine, Motherwell, Word Riot, Gertrude Press and other literary and professional journals. Nicole tweets about teaching, writing, and parenting @npiasecki. Very nice ma’am, keep it up.. I, too, struggled with a creative nonfiction piece that blended my mother’s death with a trip to her parents’ villages in Poland. Then I turned the 25-page memoir into a five-stanza poem and it was accepted right away by a literary journal for publication. Some six years later, I took an online course with Creative Nonfiction magazine and rewrote the memoir. It recently found publication with a literary journal. Don’t give up! Nicole, I am also a nonfiction writer, currently finalizing my narrative nonfiction manuscript about a homesteader and the Populist Movement. Like you, I occasionally write poetry. Mine goes into a notebook and is never seen by anyone but me; however, I enjoy the process. Your essay was definitely something I relate to and has caused me to reflect on how my poetry may be an aid to my nonfiction writing. Thanks for sharing! There are so many ways that crossing genre lines helps both free and shape not only our writing, but our thinking and our thinking about it. You have done an excellent job expressing this notion. Stories are told in so many different ways, and poetry is one that can go straight from one heart to another, like a deftly plunked chord. I’m so glad you found yours. You have given me much to think about. I am a prose writer, too.My love for the lyrical can sometimes win out over arc…and maybe I should try poetry! Thanks for this thoughtful piece. I’ve been considering studying and writing poetry lately; your essay is a good nudge. Thanks. You are currently reading A Poem, A Keyhole at BREVITY's Nonfiction Blog.